As I settled in to my comfy seat and pressed play on a free movie on the seatback screen in front of me, I knew I had made the right decision. I was on the Lux Express bus on my way from Riga, Latvia to Vilnius, Lithuania – and my seat with free movies only cost me 10 Euro. Up until this year, the Baltics was the region of Europe that I had overlooked the most. I don't have a good excuse for why, really – I just hadn't made it there. But I vowed to rectify that earlier this year with a week split between Riga and Vilnius. I chose Riga because I'd seen all sorts of beautiful photos of the city's Old Town. And I chose Vilnius because I literally knew nothing about it – Lithuania isn't a country you tend to read about on most travel blogs. And as much as I love writing about bucket-list-type destinations all around the world, I also love visiting places that some people haven't really considered. “There are four ‘Bs' to Lithuania,” my Urban Adventures tour guide told me the following day as we stood in Vilnius' City Hall Square. “Bible, basketball, bread, and beer,” she said, ticking each one off on four raised fingers. I laughed, but had to admit that I'd already seen evidence of all these things in Lithuania's capital. The country is well-known for its star basketball team, we were about to go to a pub for a local craft beer, and the amount of churches in the city was quite staggering – there are 28 of them in Vilnius' Old Town alone. It was just the beginning of my fascination with this oft-overlooked country. My Urban Adventures walking tour started at Cathedral Square, in front of the large Vilnius Cathedral and Bell Tower. 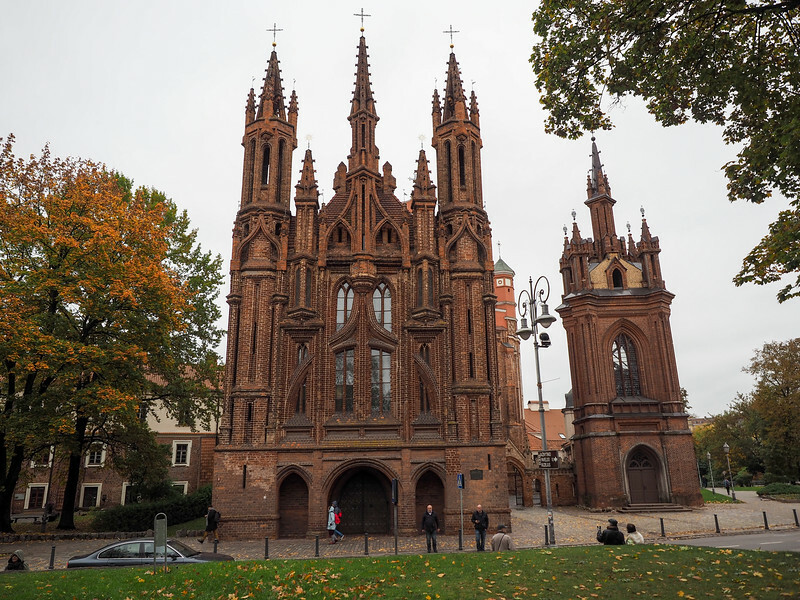 The cathedral is the main Roman Catholic Cathedral in Lithuania (because, yes, most of the churches here are Catholic ones) and sits right in front of the Palace of the Grand Dukes of Lithuania. Lithuania was the last country in Europe to convert to Christianity (it was officially converted in the year 1387), and it managed to cling to its Catholic traditions and beliefs even through Soviet rule – which really tells you a lot about the people who call this country home. 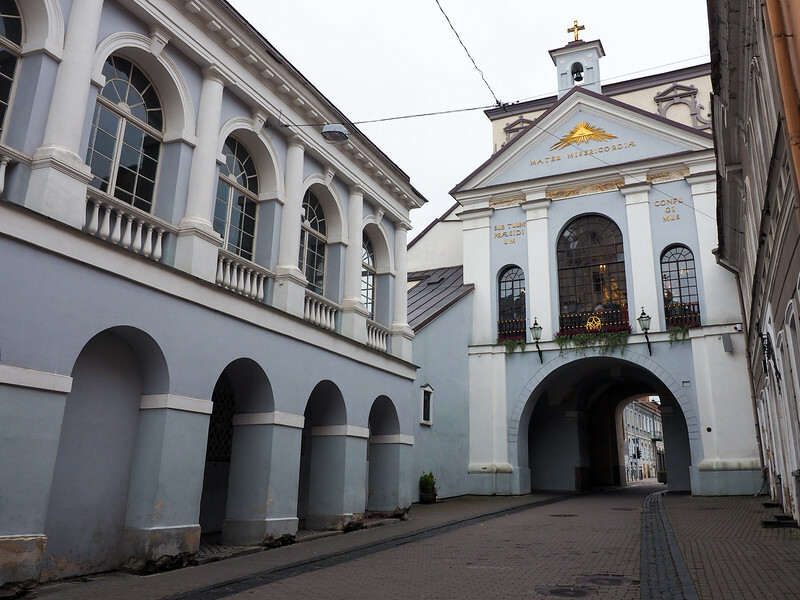 We visited quite a few churches on our walking tour, including churches that were closed and damaged by the Soviets, as well as the small chapel inside the Gate of Dawn, which is the last leftover bit of Vilnius' original defensive wall. After the tour, I also made sure to visit St. Anne's Church, a gothic beauty that Napoleon took a fancy to during the Franco-Russian War in 1812. But even though there are a ton of churches in Vilnius, there's a lot more to see, too. 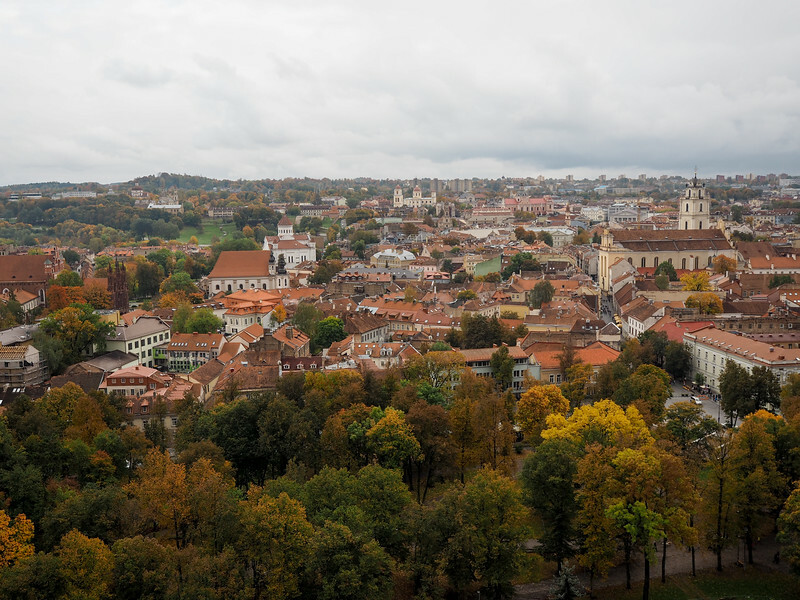 For one, did you know that Vilnius has its own independent republic within its UNESCO-recognized Old Town? The Republic of Užupis was founded in 1997 by a group of mostly artists who wanted to carve out their own space in the capital. The republic has a (rather amusing) constitution, its own president, and an independence day that's celebrated each year on April 1. The republic began in a rather undesirable part of town with falling-down buildings. Today, though, Užupis is (naturally) one of the most popular neighborhoods in Vilnius. 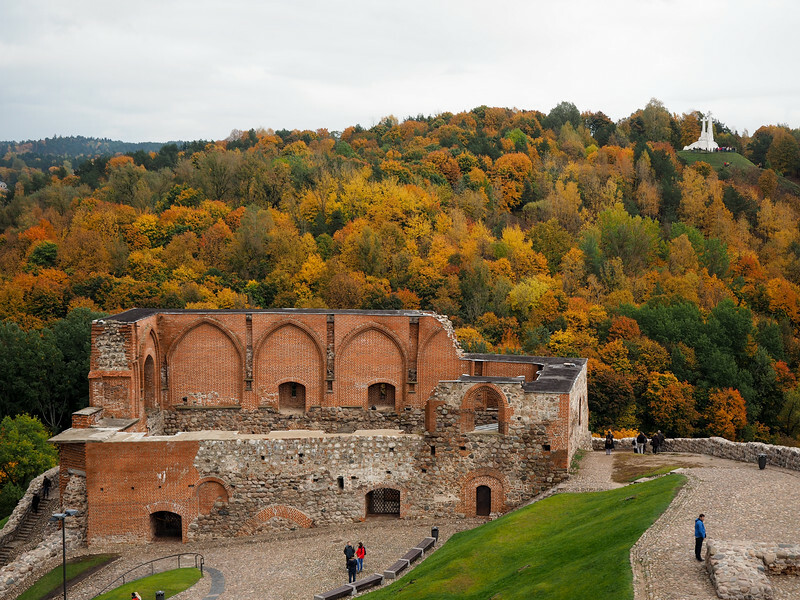 And while Užupis represents more recent, post-Soviet history in Vilnius, another site represents its more ancient past: the ruins of the Vilnius Castle Complex, including the iconic Gediminas Tower. The Upper Castle complex is on a hill above the Palace of the Grand Dukes and offers the best views out over the city. RELATED: Get to know some fun facts about Lithuania in this video. After a comprehensive overview of Vilnius' Old Town on my first full day in the city, I decided to venture to another part of the city on my second day. It poured rain the entire day, but luckily my plan had me mostly indoors. I started out at the Museum of Genocide Victims near Lukiškės Square. Contrary to what its name might lead you to believe, this isn't a museum about the Holocaust or World War II – it's actually about the 50-year occupation of Lithuania by the Soviet Union and about how Lithuanians resisted. The museum is located inside a building that was the former KGB headquarters in Vilnius, and therefore is often referred to as the KGB Museum. This isn't a particularly happy museum. But, then again, those years weren't the happiest for people in Lithuania. While we in the West learn a lot about the Holocaust in school, we don't often learn the same amount about what the Soviets did after WWII. Lithuania lost a huge amount of its Jewish population during WWII (about 200,000 people). 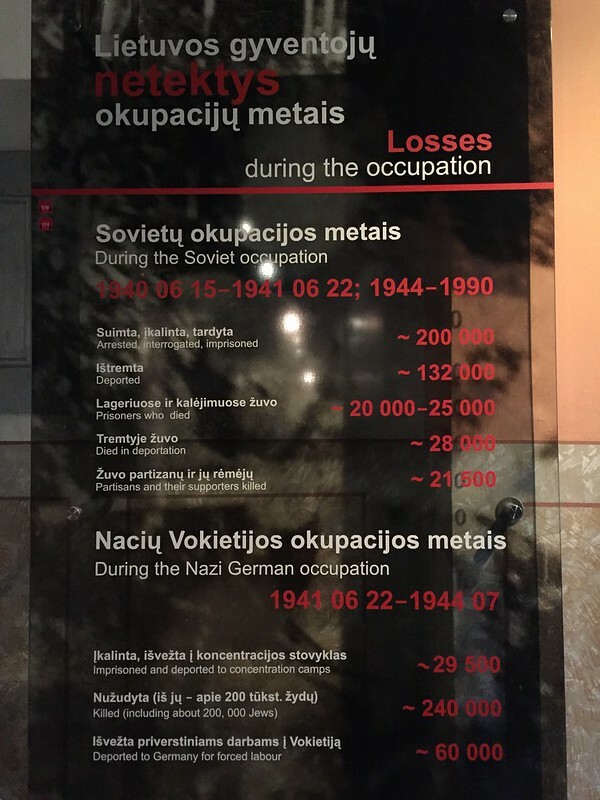 And then more than 300,000 Lithuanians were arrested, interrogated, imprisoned, and/or deported during Soviet rule (and roughly 75,000 ended up dying). 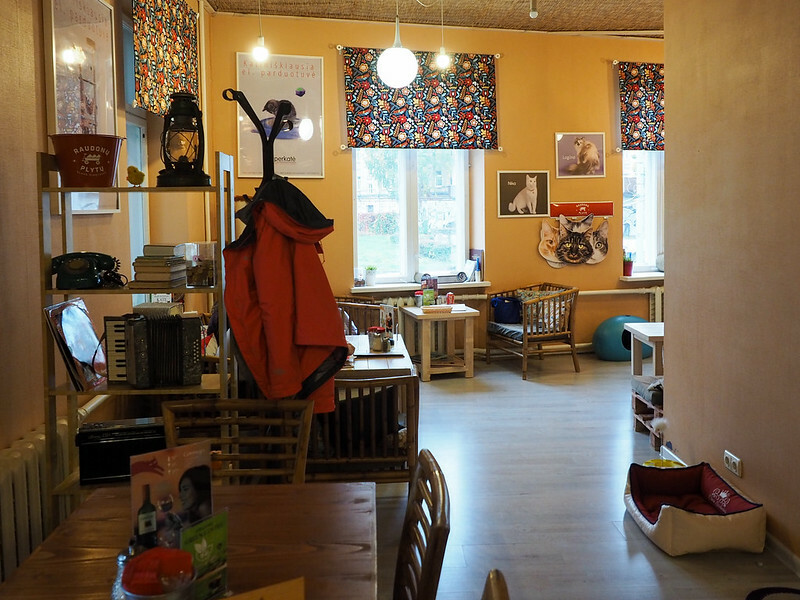 After all that heaviness, I then headed a block down the street to spend the afternoon at Vilnius' Cat Cafe (Kačių Kavinė). 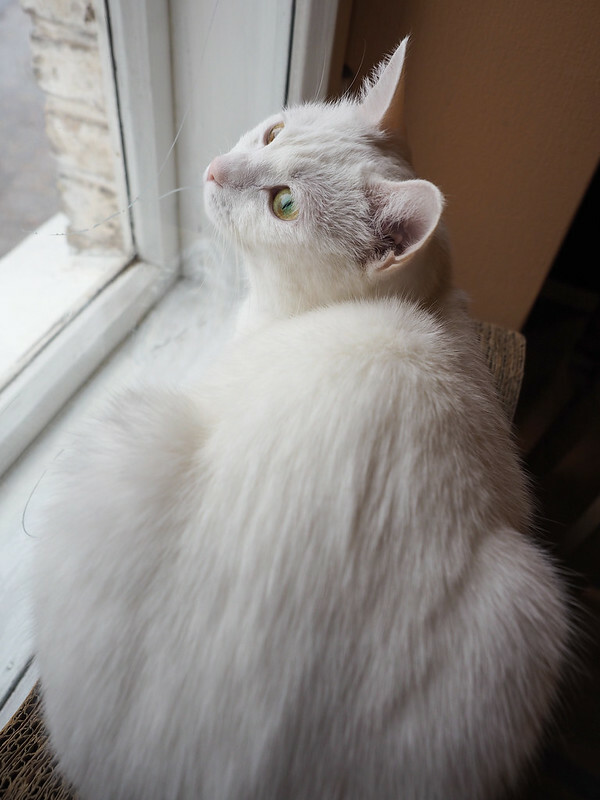 This cat completely ignored me, but isn't she pretty?? After my time in Vilnius, I tried to sit down and decide how I'd felt about it. While the Baltic states are often all lumped together, they are each their own countries with distinct cultures. I definitely felt a different vibe in Vilnius than I had in Riga. Riga felt much more polished – and definitely had more tourists wandering about. Vilnius, on the other hand, is rougher around the edges in some parts, and still hasn't completely recovered from Soviet rule. But this doesn't mean that Vilnius felt unsafe. On the contrary, I was pleasantly surprised to see families out for walks and kids playing on a playground after school on the way back to my hotel from the Old Town. 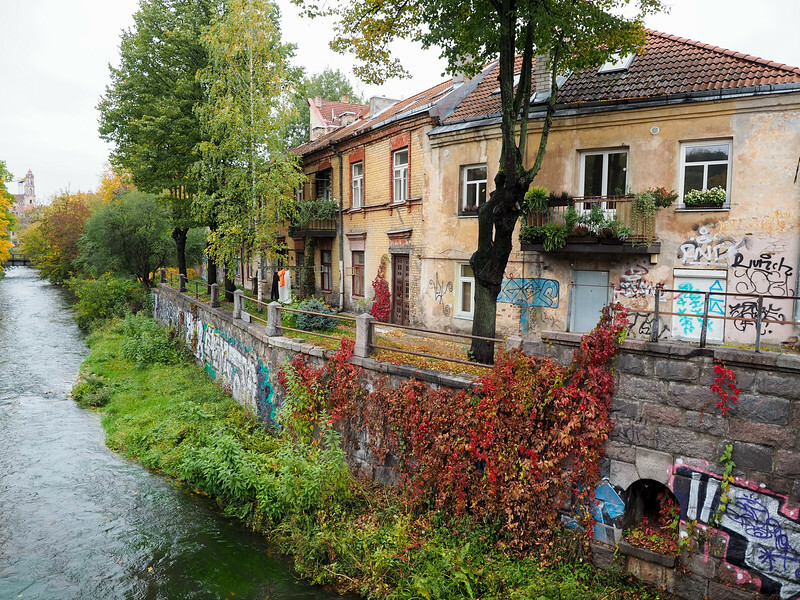 I enjoyed spotting the quirks in Vilnius, and I enjoyed being in a place that hasn't been written about to death on all the blogs that I frequently read. All told, Vilnius is a city I would definitely go back to. 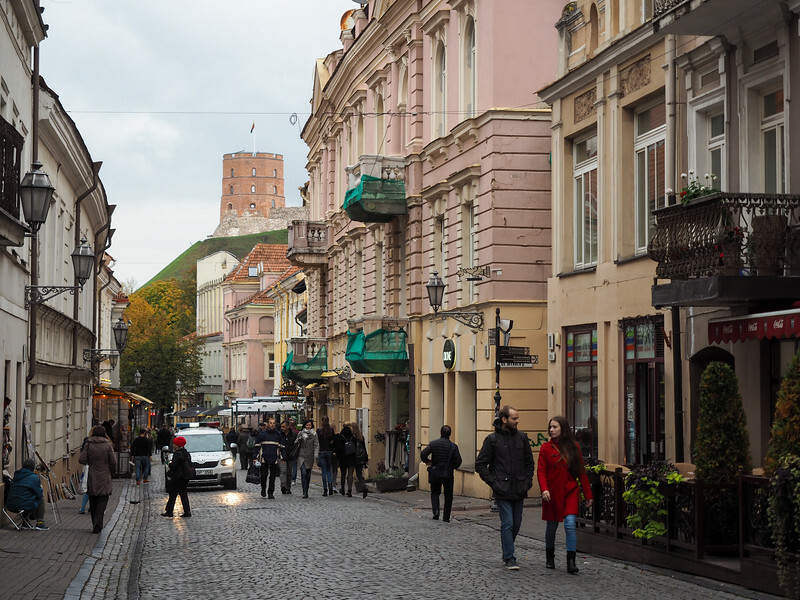 How to get there: I found a flight from London to Riga on Wizz Air for an awesome price using Skyscanner, which directed me straight to the airline’s site to make my booking (I always use Skyscanner for flight searches in Europe!). I then took the Lux Express bus to Vilnius, which is one of the best (read: cheap and comfy) ways to travel around the Baltics. 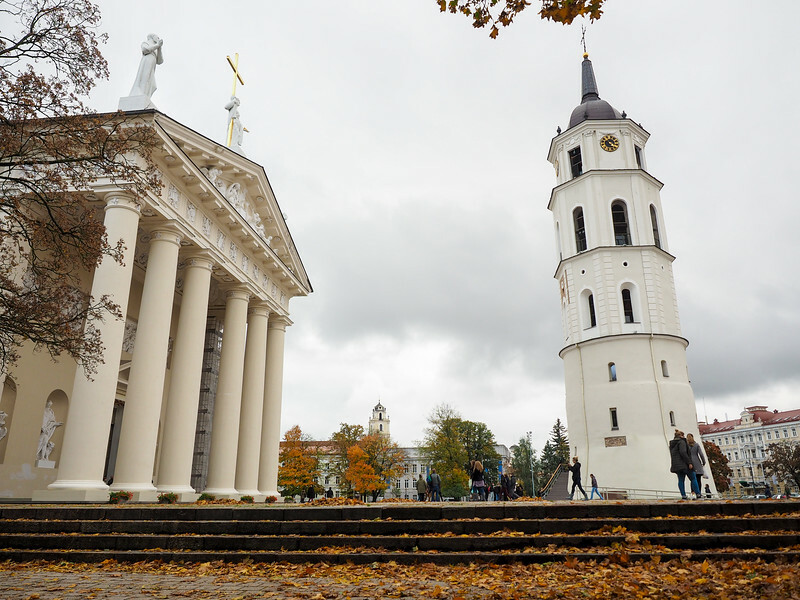 Take a tour: I went on a “Undiscovered Vilnius” tour with Urban Adventures while I was in town, which was a great introduction to the city and its history. 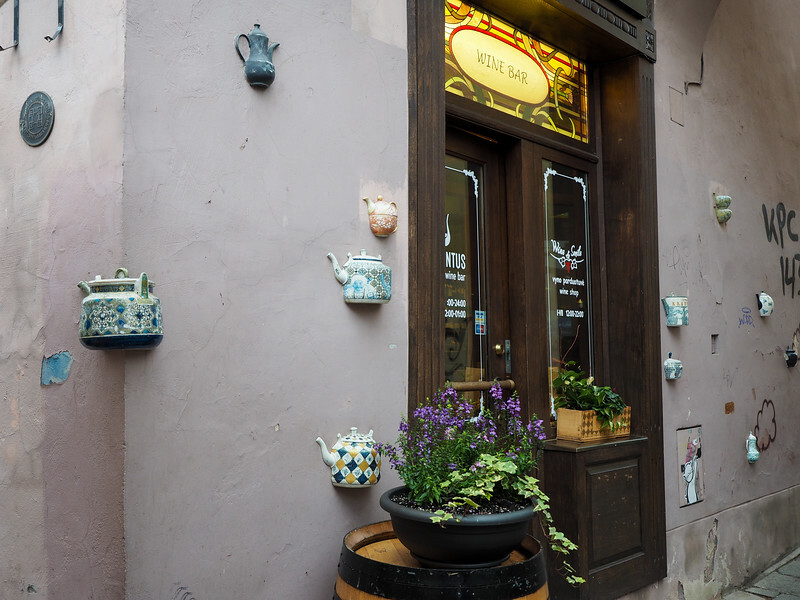 They also offer a food tour of Vilnius that looks great. 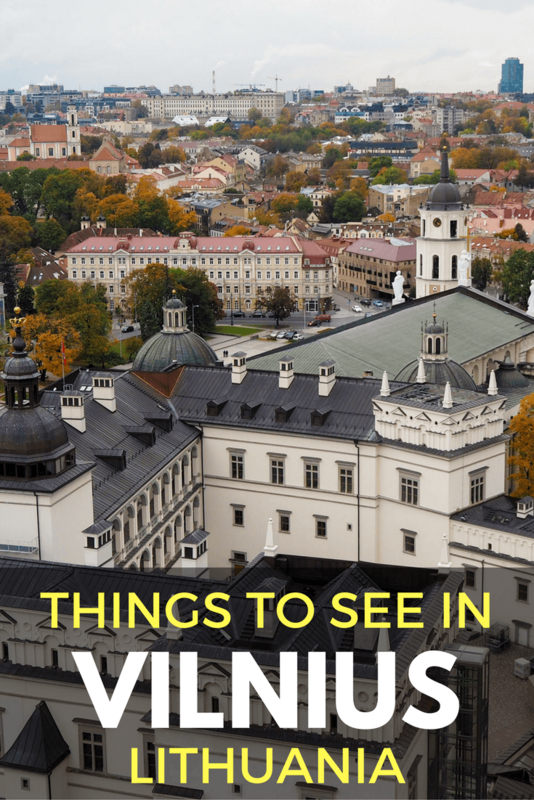 Is Vilnius a place that's going on YOUR travel list now? *Note: My trip to Vilnius was partially sponsored by Skyscanner, and I also joined a free tour with Urban Adventures while I was there. But, as always, all opinions and recommendations are 100% my own. Vilnius looks like a charmingly beautiful town of Europe. It’s always a great idea to wander through such quaint places n snap photos. I really enjoyed spending a few days there getting to know it! As much as I like Tallinn and Riga, Vilnius is my fave of Baltics capitals! It just feels much more unique and has kind of the artistic vibe around. Glad you went there in autumn – it’s the prettiest with all the colors! 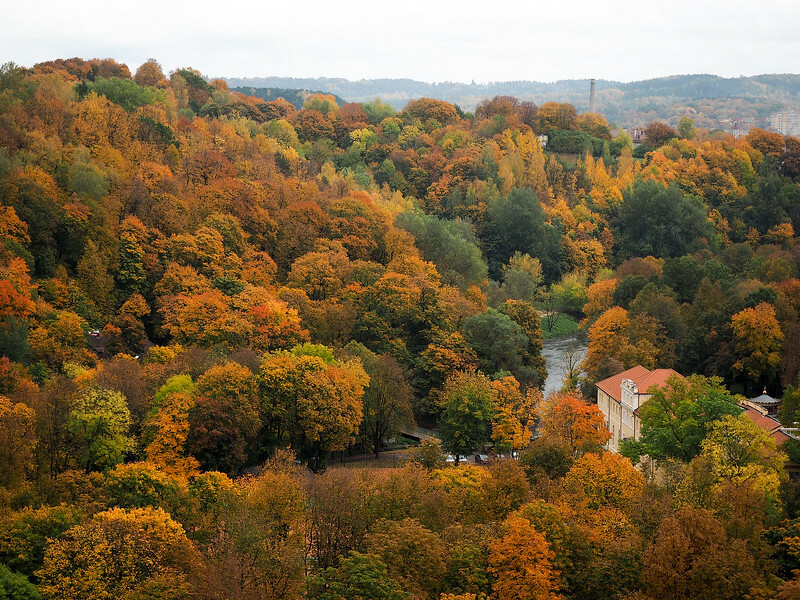 The fall colors were SO pretty in Vilnius! And yeah, it definitely had a different vibe to it than Riga! Read through your fascinating posts on Riga and Vilnius. Did you visit Tallinn too? No, I’m afraid I haven’t been to Tallinn yet! Thanks. Did you travel from Vilnius to Moscow? If so how did you do it? Flight or train? Yup, I flew from Vilnius to Moscow on Aeroflot – easy flight that was only around 2 hours, and cost me less than $100. 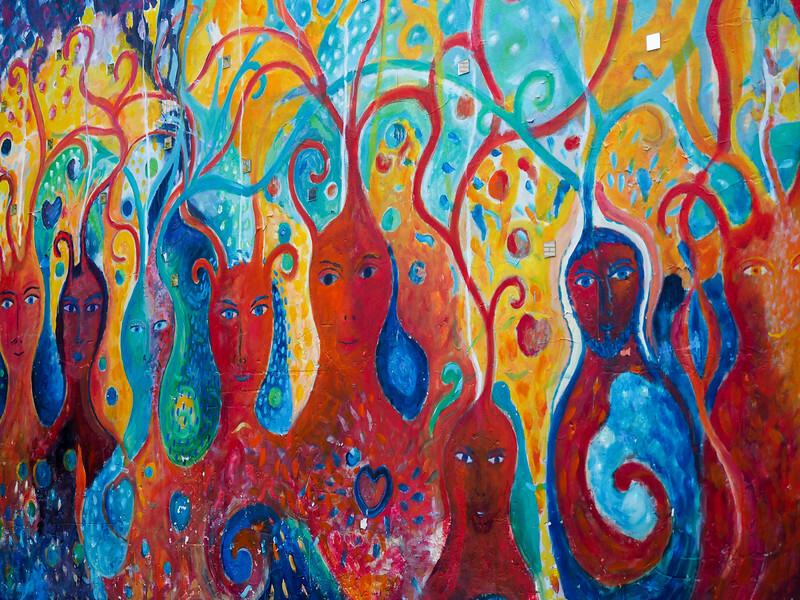 I love that quirky wall in Vilnius! Always a delight exploring lesser known places that still retain this quaint old world charm in an otherwise bustling world. Definitely – it’s one of my favorite things about traveling! It seems you have spent a very good time in Vilnius, Lithuania and experienced it fully. View of the New Town from Gediminas Tower looks amazing from the top. Thanks for the tour guide. I am looking forward to visiting there soon. Those views are definitely great! 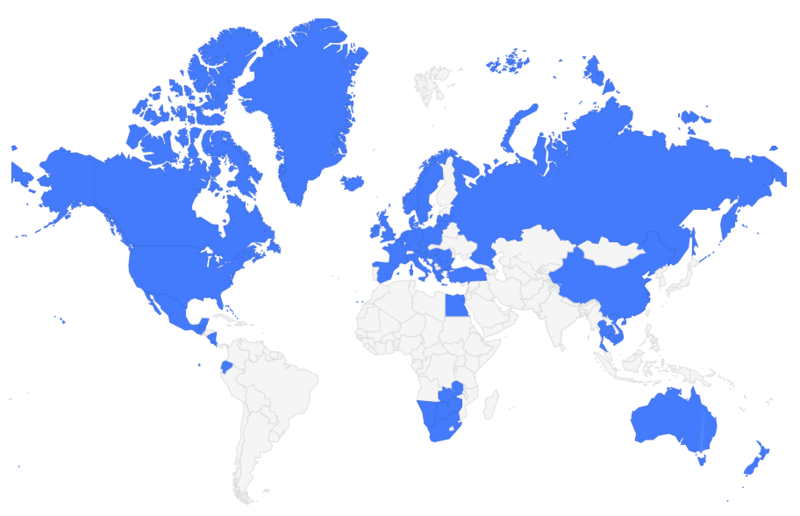 Great post, thank you for sharing a lesser covered destination! Looks like you were there at the right time for some beautiful fall colors and the city looks like fun! I’ll definitely be adding Vilnius to the list of cities in that region to get to. It was a little chilly in early October (and a bit wet), but the fall colors definitely made up for it and it was a cool city to get to know. Thanks for this post! I’m heading to Vilnius next week (followed by Riga and Tallinn) and am excited for its off the beaten path-ness. Your photos of it are beautiful! Awesome, Noelle! Hopefully this post gave you a few ideas on things to do! I was looking for exactly this type of information when I saw this link show up first on my google search for Villnius blogs! I am 40-50% Jewish Lithuanian, and I just found out last night that I missed out on birthright citizenship by about 15 years as my relatives left in 1881, 1886, 1900, and 1904 respectively whereas the cutoff is 1918 for great grandparents leaving Lithuania. This is why I woke up with a renewed interest in returning just for a trip, school, or to make new roots. The one aspect of a blog that I was not sure if I’d find was what an American’s experience navigating the language barrier there was like. It sounds like you were comfortable! Now I’m gonna have a good look at your other posts, and youtube channel! It’s definitely part of the world I plan to return to! I will stay in Vilnius for 3 months this summer. After reading this, I just can’t wait! Oh that’s great! I thought it was a cool city, and I imagine it’ll be even more lively and fun in the summer! Great post! 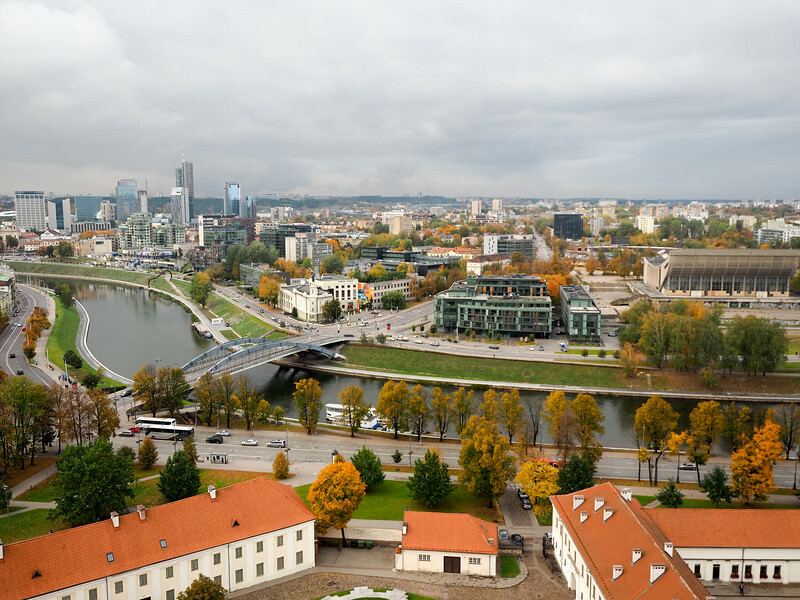 Vilnius seems to be a very interesting city….. can´t wait for my trip to Lithuania in 3 weeks. Keep on traveling and writing your stories. 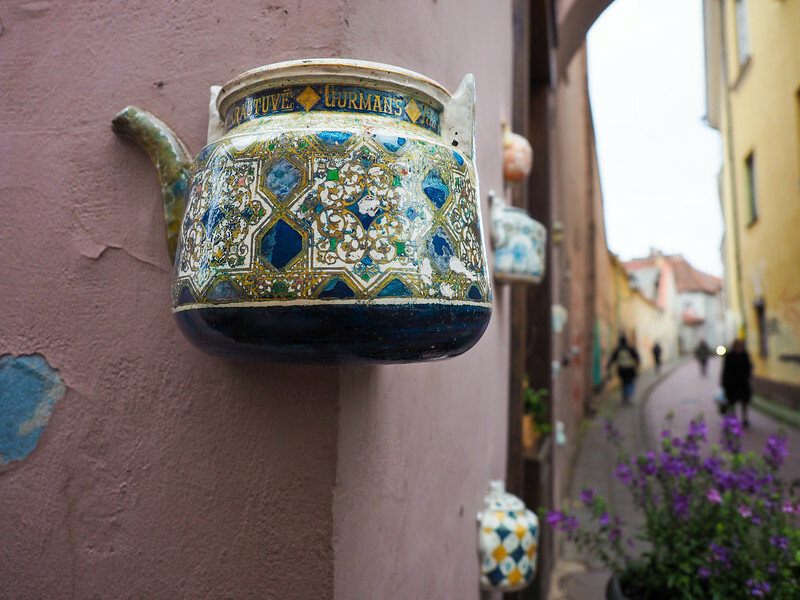 Yes I really enjoyed Vilnius – hope you do too! I was in Vilnius back in 1979. Even then, this city looked very unique & different from the other cities in USSR. I had fun back then & now too when I read the impressions of this tourist of her memories and how she saw Vilnius thru her eyes. I recommend people when they visit Europe find an opportunity to visit this lovely & unique city.